So you want to teach the Children's Catechism but don't know where to start? When it seems like our kids can barely remember to say “please”, 145 questions can be daunting! Well, it doesn’t have to be that complicated, you just have to start somewhere! And so that’s what we are talking about today. How to get started! Ideally, you've already read all about why it is a good idea and know which catechism you're going to use. If you child can communicate using words, you're ready to work on questions and answers! Kids develop their verbal skills at different paces, so you may have an almost two year old who is ready. If a child is using a variety of words for things around them (like mom, dad, diaper, goldfish, thank you), then you know they are ready to jump in and start learning important words and concepts introduced in the catechism! For other kids who aren't as verbal at 2 and even 3, you may want to hold off and just be sure you are reading them stories and talking to them about the catechism even if you don't think they are ready to memorize answers. If you have older kids, that's great too - just start! You can also always try it out and see what happens! No one is grading you here! 1. Make sure you have the questions ready to go. You can print a copy of the questions here. (If you're wondering about the different versions of the catechism questions, see this post where I break it down in lots of detail). 2. Decide on a time you'll work on the catechism with your kids. If you homeschool or have preschoolers, this might be something you want to integrate into your normal "school" time. You might want to start with doing it as a "sit down" lesson time three days a week and seeing if you need to adjust it to more or less based on what works for your kids. Just grab your book and talk about it. It doesn't require a lot of prep and doesn't require a lot of time either, a few minutes of talking about some of the questions and working on repeating the questions and answers is all you need, especially when kids are little. If you have older kids, you can incorporate more detailed conversation, crafts, or reference the Westminster Shorter or Larger Catechism (which obviously have much more detailed answers compared to the children's version). 3. Incorporate some catechism songs and books into other times throughout the week. 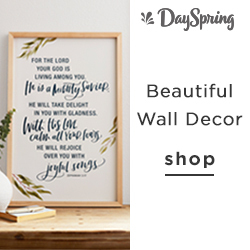 Fill your house with the resources that reference the catechism. You'll want these songs and this book for sure to start. When you're starting out, you might also want to grab these songs too. To see ALL the children's catechism resources in one place, click here! 4. At the end of the week, do a "check-in". Have a time set aside where you can see which questions your kids can answer by themselves. Grab some fun stickers to track their progress or another small reward for questions answered correctly. Make it fun, be excited when they get them right. High fives and hugs abound! Keep going and working on the questions each week. Some of the first ones are the most important for really setting the stage of theological learning for your kids, so see how far you can get and how much fun it is. It's ok to take breaks. Just keep going. Feel free to jump around and do different questions as you want too! You might also want to browse this site for more (and growing!) 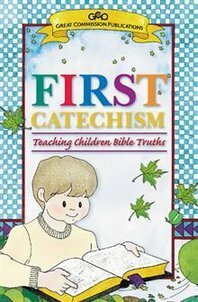 information about the children's catechism.